This clever mop combines the cleaning power of microfiber with the absorption ability of a synthetic shammy. 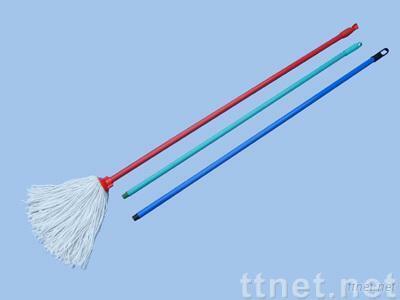 This string mop is more absorbent than any other available, it cleans with only water. It will hold 47 times more liquid than a traditional cotton mop, but it also dries faster so it won't stink or grow mildew like they do.